Texas Hill Country is a scenic area of farms, ranches, and wineries where urbanites go to to get away from it all. 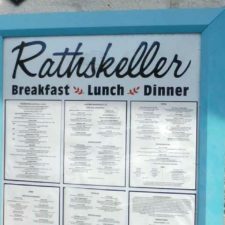 Vacationers head there to enjoy the great outdoors and small town charm. Vast expanses of wildflowers like bluebonnets and Indian paintbrushes cover the rolling hills in spring. In summer the world-renowned Hill Country peaches grown in Stonewall and Fredericksburg reach peak sweetness. There’s hiking, horseback riding, bicycling, golfing, birdwatching and boating. Fish or go tubing on the Guadalupe River or explore the lakes, caverns and canyons. Folks can even dig for topaz, the state gem. It’s where, they say, there is more vacation than you have time. Hill Country is rivaling Florida in attracting retirees, who move here for the lower cost of living, slower pace, and mild winters. Grapes flourish in the sunny dry climate and calcium-rich soil and Texas is the third-largest producer in wine in the USA. 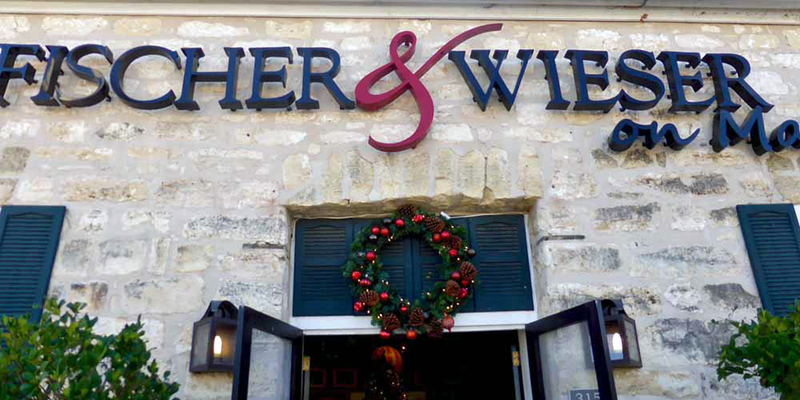 Highway 290’s association of Texas wineries includes the award-winning Messina Hof and Becker Vineyards. 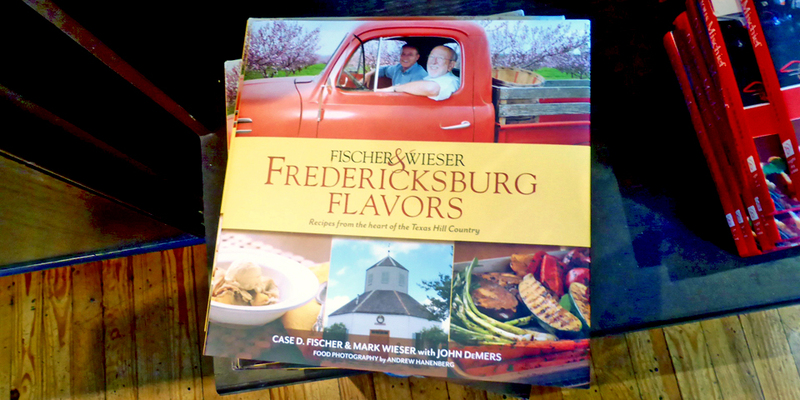 Historic Fredericksburg is one of the region’s early German settlements and is in the heart of it all. It is named for Prince Frederick of Prussia. 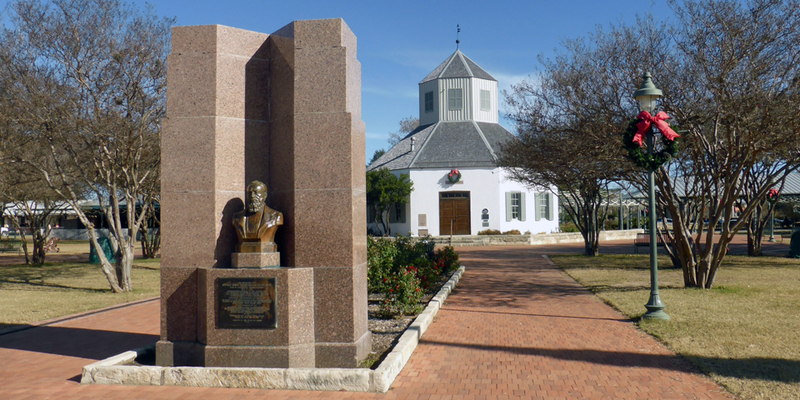 German noblemen founded the Adelsverein, also known as the Society for the Protection of German Immigrants, in 1842 to organize mass emigration to the Texas frontier. In 1846 its Commissioner General, Baron Otfried Hans Freiherr von Meusebach of Prussia founded Fredericksburg, where he was known as John O. Meusebach. Meusebach reached an agreement with the Comanches that is said to be the country’s only unbroken treaty with Native Americans. Hill Country’s German pioneers wanted to be Americans and were persecuted for voting against secession. Some tried to escape to Mexico and were massacred. The Pioneer Museum is a good place to learn the story of the German pioneers. There’s a one-room schoolhouse, log cabin, bath house, and a Sunday house. Farm and ranch families built small second homes known as Sunday houses to use on weekends. They stayed there while shopping and tending to other business on Saturday and attending church on Sunday. 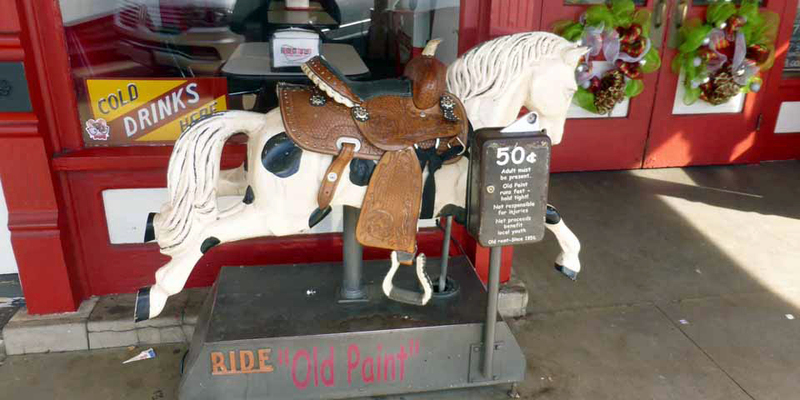 Some were used as retirement homes when the younger generation took over running the farm or ranch. 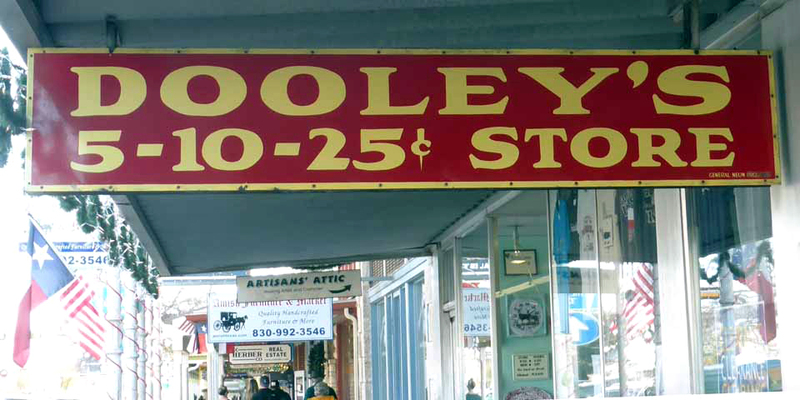 Fredericksburg’s historic Main Street has old-fashioned storefronts and reminders of things from days gone by like Dooley’s 5-10-25⍧ store and coin-operated pony ride. 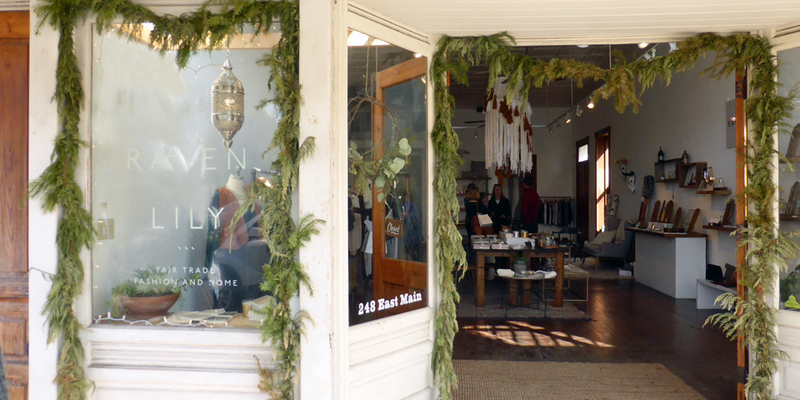 The shops —jewelry, clothing, gourmet foods, galleries and more— are so popular with visitors that there is a shipping service. Several shops feature local foods. 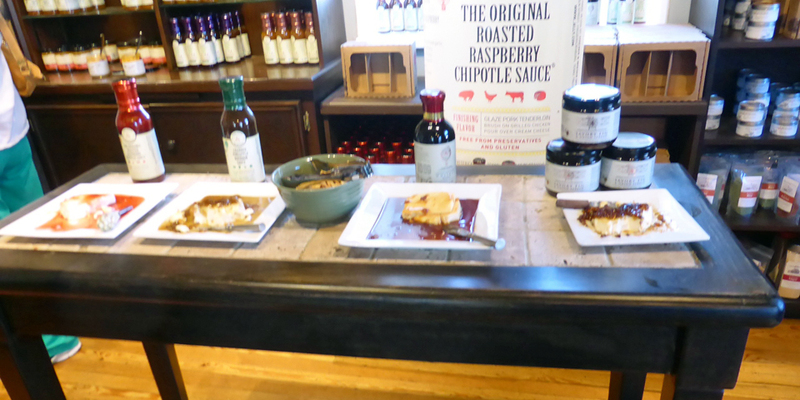 Some, like Fischer & Wieser, offer free samples. 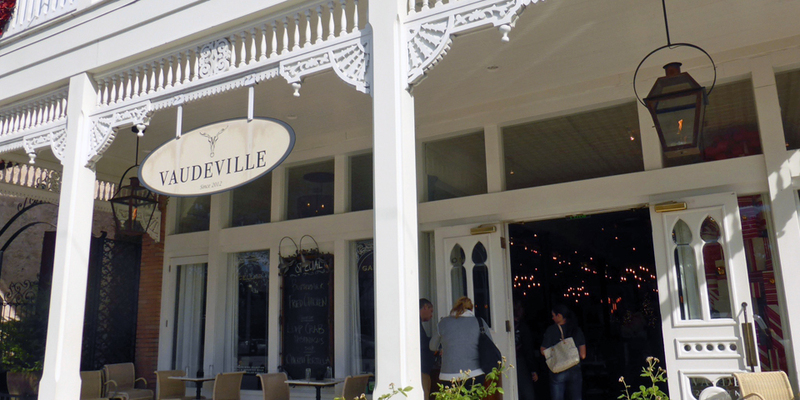 There are plenty of options for dining, like the bistro at Vaudeville, where the New American comfort food is sourced from local farms and ranches. 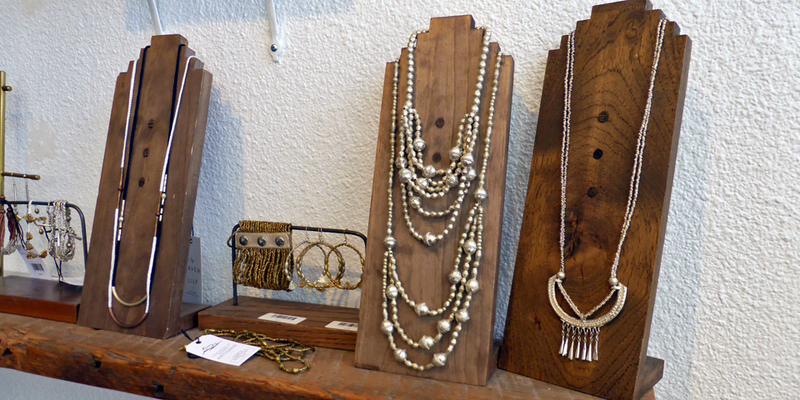 It is downstairs from the Vaudeville retail shop, art gallery and café. 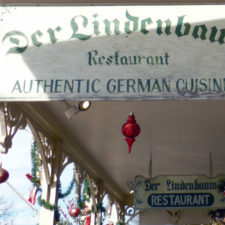 The Old German Bakery and Restaurant on West Main is a good place for German pancakes or apple strudel. Otto’s on Austin Street is one of many serving authentic German cuisine. Even Tex-Mex music fuses with German here, and just might include an accordion. There’s even more German fun during Oktoberfest, when German food and beer, music, and polka are can be enjoyed on Marktplatz, the main square. 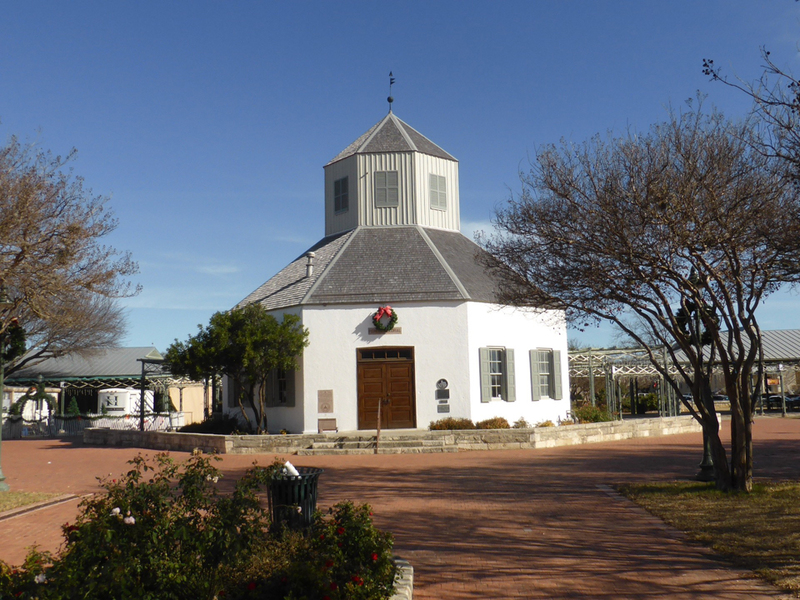 A replica of Vereins Kirche (Society Church), Fredericksburg’s first public building, is in Marktplatz. 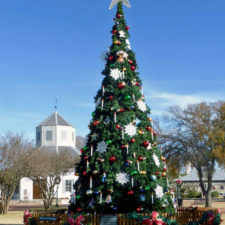 The original was in the center of Main Street and served as a church for all demominations, school, and community hall. It is sometimes called Kaffeemühle (The Coffee Mill) for its shape. 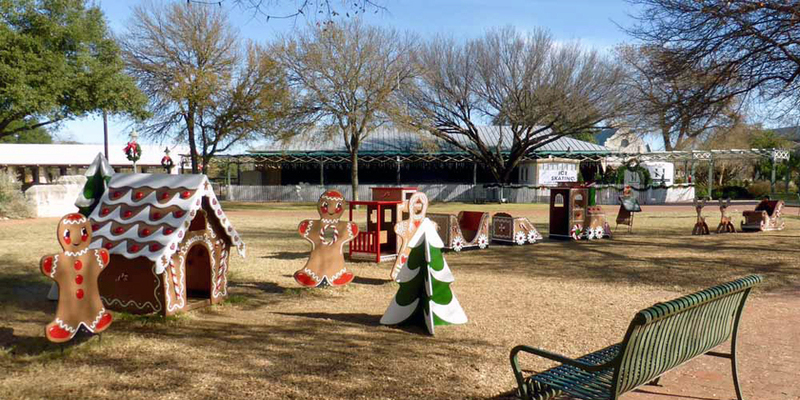 During the holiday season Marktplatz is decked out with German Christmas traditions like gingerbread figures and a 30’ Christmas tree. 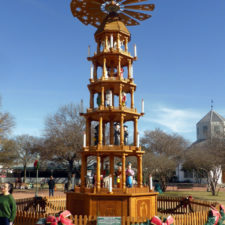 The 26’ high revolving wooden Christmas pyramid with carolers, nutcrackers, a snowman, St. Nicholas, trumpeting angels, and a nativity scene was hand carved in Germany. 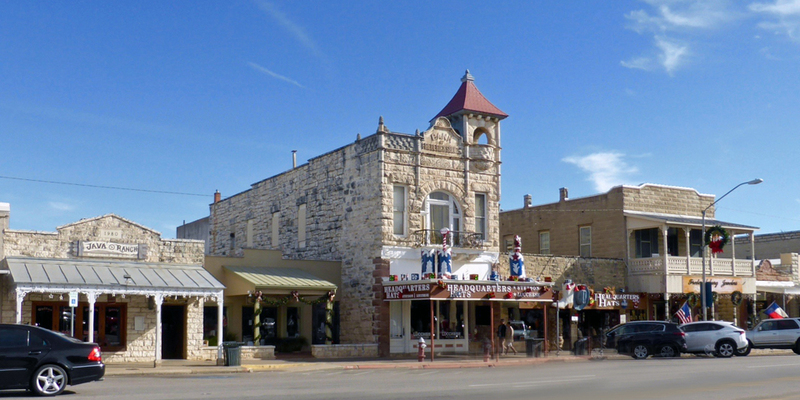 In 1970 the Fredericksburg Historic District was added to the National Register of Historic Places in Texas. No time to visit the vineyards? 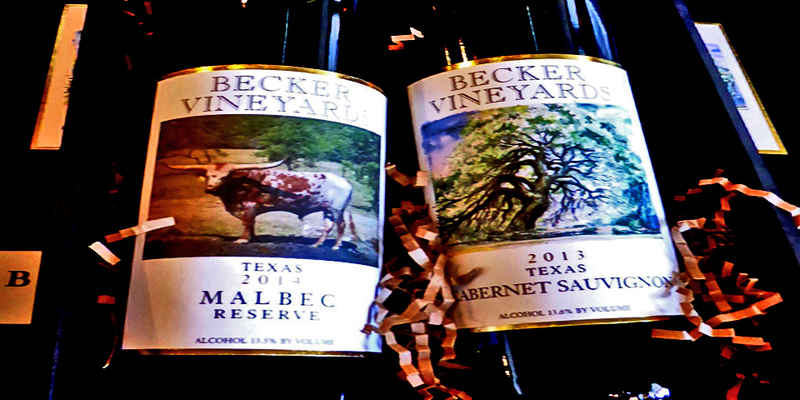 You can sample some of the best Hill Country wine right on Main Street at places like Becker Vineyards. 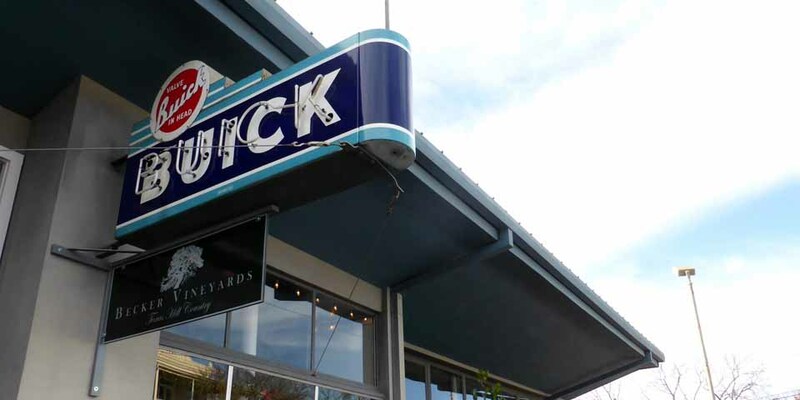 The front windows are at an angle, designed to keep glare from obscuring the view of the vehicles inside when the building served as a Buick Dealership..
Dr. Richard and Bunny Becker own one of the area’s oldest and the largest wineries. They developed an appreciation for fine French wine during their travels and produce award-winning Bordeaux, Burgundian, and Rhone-styled wines. Ask about the story behind the popular Raven, a dark purple blend of malbec and petit verdot with notes of violet and vanilla and a peppery/spicy finish, aged in American and French oak. 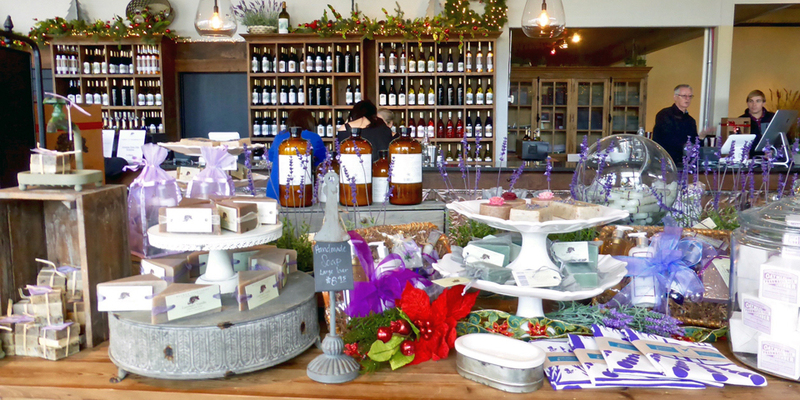 Products from their lavender farm are also sold in this shop. 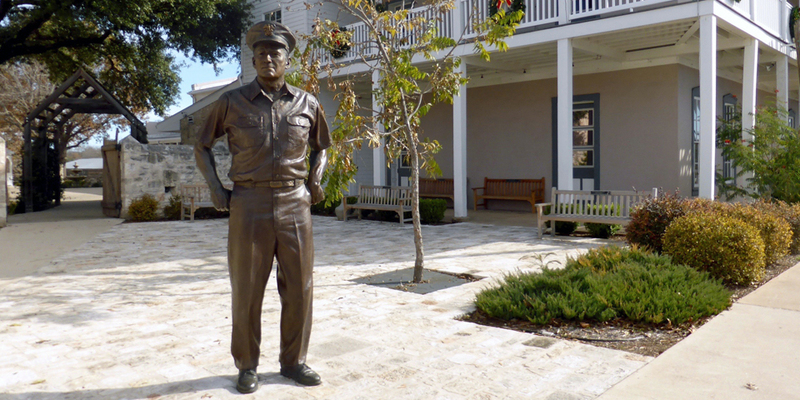 Fleet Admiral Chester Nimitz, Sr. was born in here. He was Commander of the U.S. Pacific Forces during World War II and was elected to the Texas Legislature in 1890. 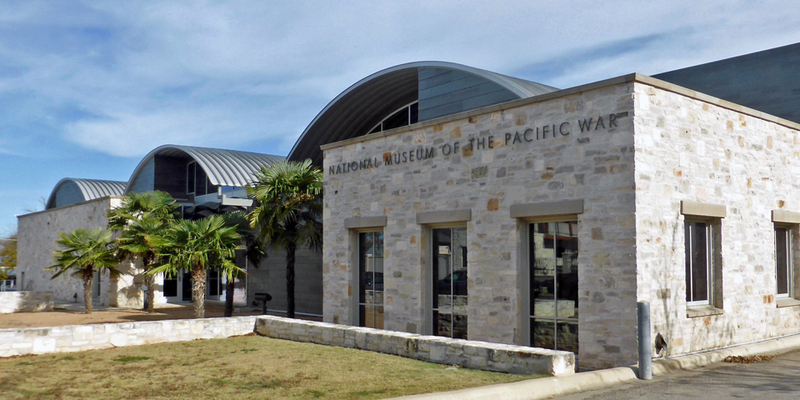 The National Museum of Pacific War and Nimitz Museum is a six acre three museum complex honoring wartime sacrifices. Hill Country is renowned for its beauty during the spring wildflower season. Admission is free and there are walking trails at the 200 acre Wildseed Farms, the nation’s largest working wildflower farm, seven miles east of Fredericksburg. 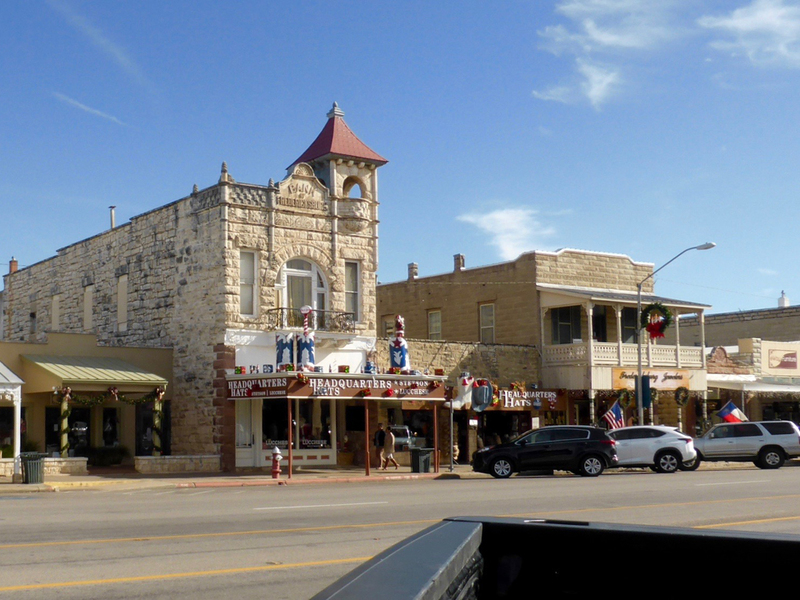 Our 36th President’s birthplace and 1 room school are in Hill Country’s LBJ National State Park in Stonewall, 16 miles from Fredericksburg. There also tours of parts of President Lyndon Baines Johnson’s ranch, which served as the Texas White House. You can see“Airforce 1/2,” which flew to and from the White House, as well as LBJ’s cars from the 1950s and 1960s. His wife, Lady Bird, so loved the wildflowers that she cofounded the Lady Bird Johnson Wildflower Center at the University of Texas in nearby Austin with the “First Lady of American Theater,” Helen Hayes. Enchanted Rock is the second largest granite dome in America, after Georgia’s Stone Mountain. Native Americans believed it had magical and spiritual powers. Allow at least half an hour to hike up. The view is especially beautiful at sunset. After a hot day you can listen for the sounds made by granite fissures —or, some say, the ghosts of warriors who died here. Shop ’til you drop at the 145 or so luxury and brand name stores at San Marcos Premium Outlets, Exit 200 off IH-35 at Counterpoint Road. Join the VIP Shopper Club for special discounts.